For more amazing Chicago wedding venues with outdoor spaces, be sure to check out Part 1 and Part 2 of the series! 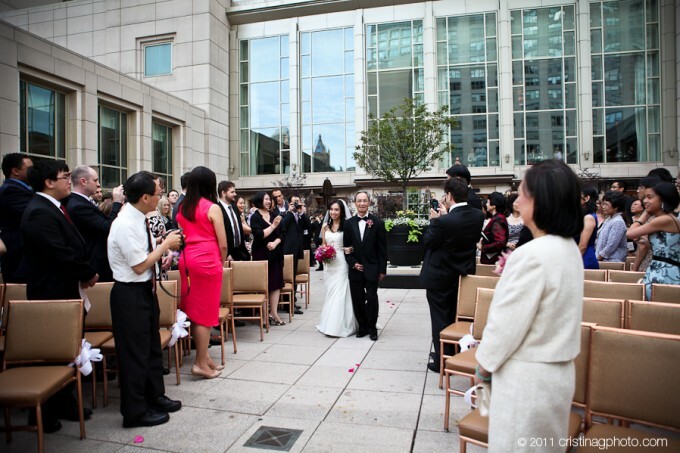 The terrace is located off the Grand Ballroom and looks over the Mag Mile. Perfect for ceremonies or cocktail hour! Do you have any other favorite venues with outdoor space? Chicago may be known for its architecture and beautiful buildings, but even a city-lover craves a little bit of wide open spaces. Want to incorporate a bit of the great outdoors into your city wedding? 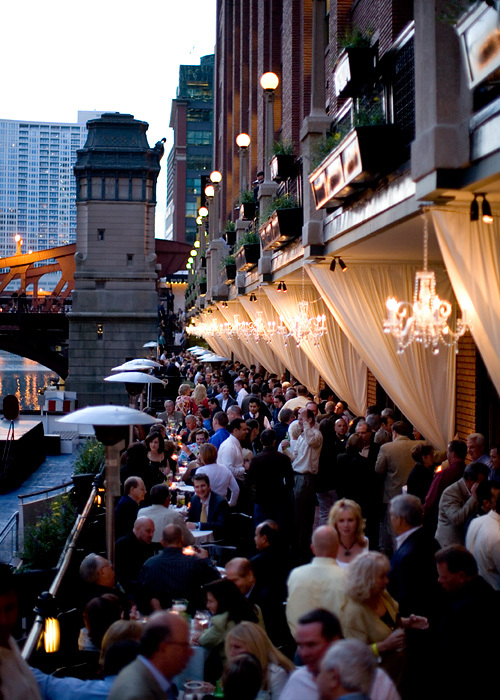 Chicago offers a variety of venues with outdoor space for your ceremony or cocktail hour! But please, please keep in mind Chicago's volatile weather and always have a back-up plan! I am super excited that one of my 2012 couples just booked one of my favorite venues, The Newberry Library as their wedding venue! It was a tough choice, and it came down to the Private Dining Rooms of Spiaggia and Fulton’s on the River. In the end, the uniqueness of the Newberry won out! Another fabulous new addition to Chicago’s hotel scene! We are really lucky to have so many boutique hotels to choose from! Say hello to the brand spankin’ new Hotel Palomar which literally opened last week, a Kimpton Hotel, located in the River North area at the corner of State and Illinois. Carnivale has been a staple in Chicago dining for quite a while now, but it wasn’t until recently that I found out that they have fabulous private dining areas, and have hosted many a wedding! Their delicious “Nuevo Latino” fare is not your average wedding food, nor is their vibrant and fun decor (perhaps not the right fit for the bride who is hung up on a particular color scheme!). The other day, I visited Chicago’s newest luxury hotel: The Elysian. This amazing property is probably one of the most elegant and sophisticated hotels I have seen to date. Not flashy or trendy… simply understated elegance. There has been a lot of buzz surrounding my next featured venue, theWit Hotel, and after a recent site visit, I’d have to say that buzz is well deserved! Everything about this hotel is super modern, sleek, and chic! My job allows me to visit some of the most fabulous venues in Chicago… and I thought I’d start sharing them with you! Chicago recently received a shiny new skyscraper to add it its world famous skyline: Trump International Hotel & Tower. This hotel is the epitome of contemporary luxury and elegance, and the Grand Ballroom is equally spectacular.